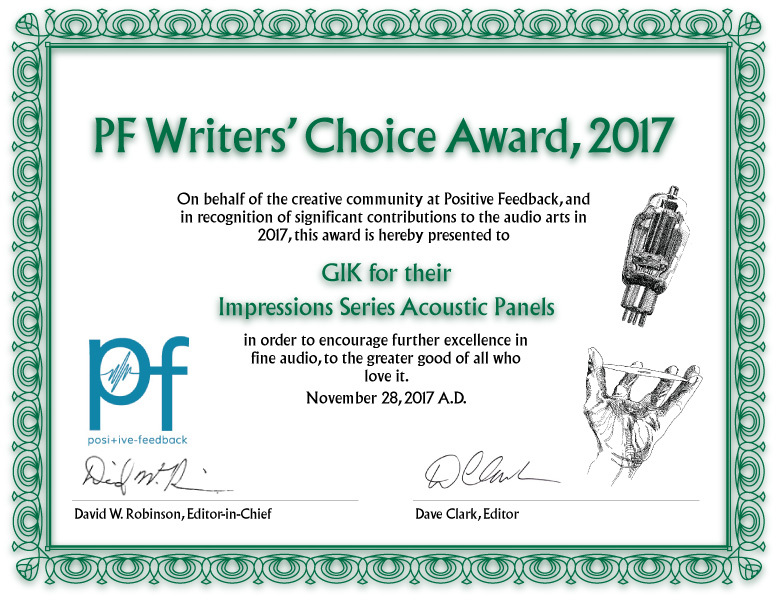 Every year, the team at Positive Feedback give editors and writers an opportunity to recognize superior merit in the audio arts though their “Writers’ Choice Awards.” Their writers and reviewers have been given broad leeway to cite excellence in fine audio wherever they find it: products, people, recordings, events, groups, etc., so their audience can be better informed. 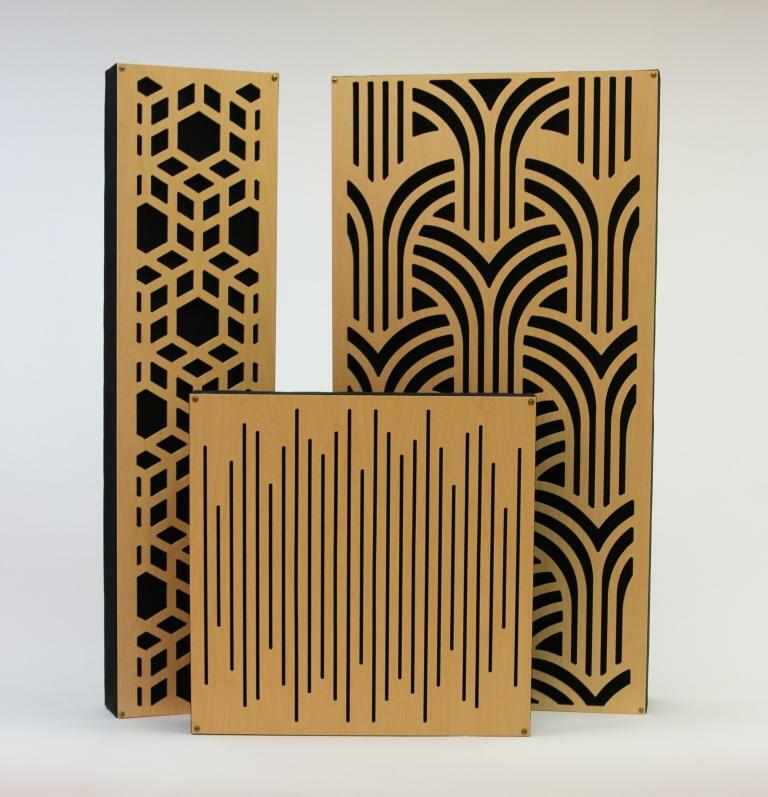 Writer Gary Beard selected our Impressions Series Acoustic Panels for an award. Read the full list of 2017 Awards here. This entry was posted in Press and tagged acoustic panel, award, bass trap, Impression series, positive feedback, writer's choice.